One of the things we love the most is getting away to the mountains or other calm places at the weekend, and we also like sharing our favorite weekend getaways with you. Andorra, which lies only a couple hundreds of kilometers from Barcelona is one of our favorite countries for a weekend getaway. 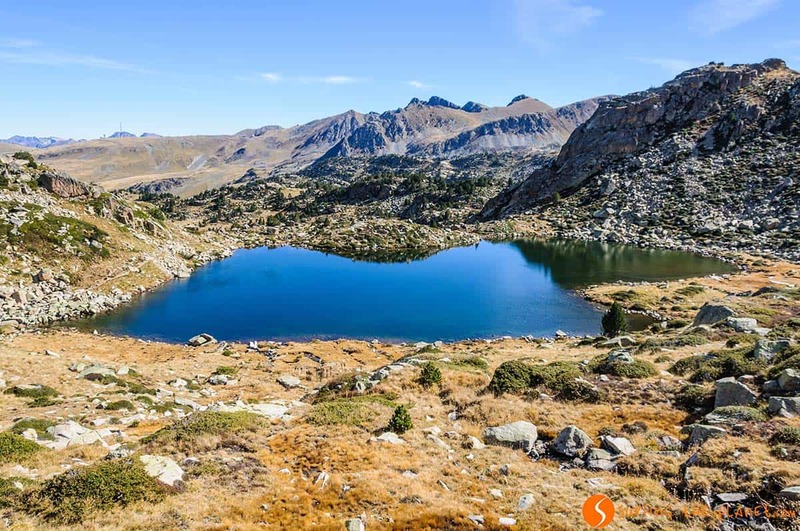 It’s one of the tiniest countries in Europa, however, the montaineous landscape, the charming villages and the endless possibilities of activities make it worth visiting Andorra. 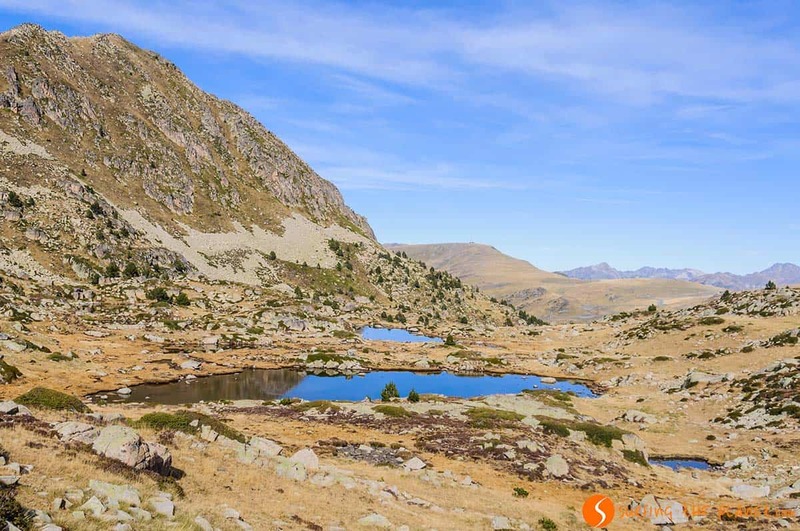 We could recommend you lots of trails in Andorra with all kinds of difficulties, today we start with one of the most precious ones: the glacial circuit of Pessons, a trail of moderate difficulty during which we can enjoy a large variety of landscapes. During the whole hike we will see both the sign of the GR7 route (red and white stripes) and the GRP route (red and yellow stripes). 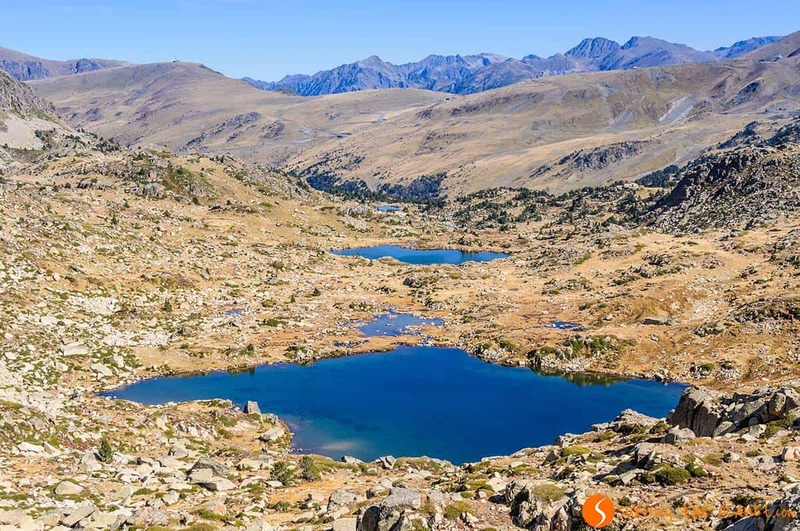 The trail with the Pessons Lakes can be found in a beatuiful valley of the Encamp region, and it starts at the parking lot (called El Cubil) of one of the most famous ski resorts in Andorra, called Grau Roig. Immediately after starting the walk, we will face probably the most physically demanding part of the hike (almost 200 m accumulated height in less than 2 km), while we follow the dirt road, which leads us to the first lake called Estany Primer de Pessons (The First Pessons Lake), where we also find a small restaurant. Those who feel lazy can take a 4WD taxi from the ski resort to the restaurant paying 5 euros. From here on, we leave the civilization behind and we start a spectacular hike during which we will see several beautiful lakes. 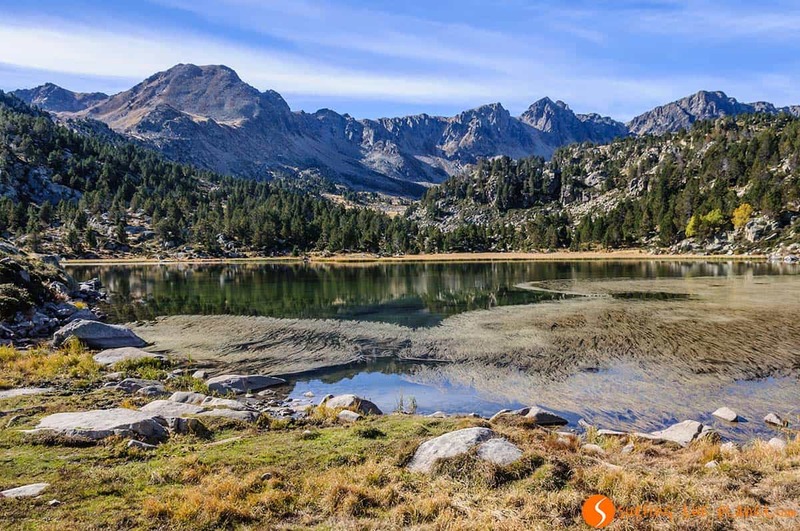 First we go along the edge of lakes Estany Forcat and Estany Rodó, which are situated very close to each other and the we arrive at Estany del Meligar. From this point it’s really worth looking back every now and then, since as we climb higher and higher, we see all the lakes we already passed from above. 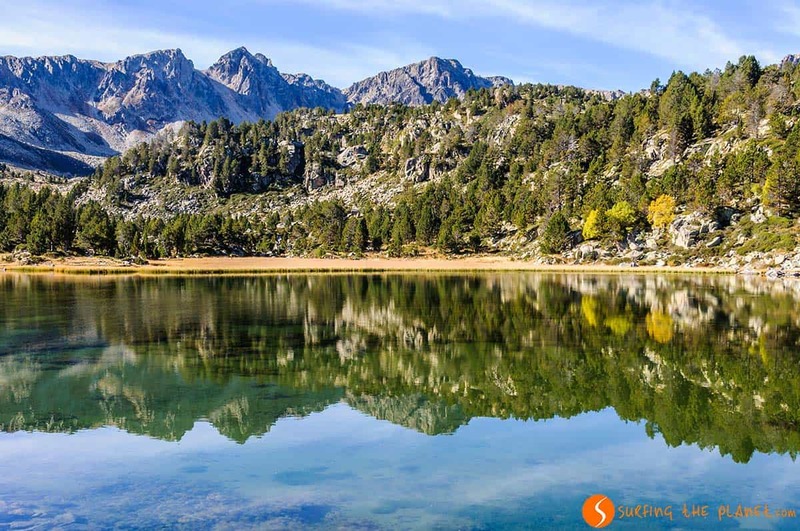 We soon arrive at the last two lakes, Estany de les Fonts, which is probably the most beautiful one of all and then the Estany del Cap dels Pessons. Both lakes are simply perfect place for a picnic. We have already reached the end of the circuit of Pessons, but those who feel strong enough, there’s a possibility of climbing up to the Collado de Pessons (Pessons Mountain Pass). Our efforts will be more than compensated by the fantastic view of the mountains of Arinsal on one side, and the lakes of the Pessons circuit on the other. 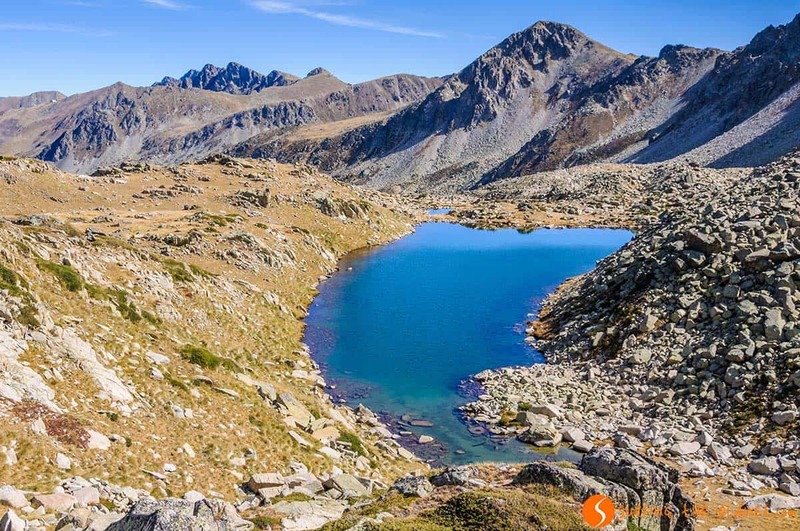 On the way back we have to follow to same trail till the lake of Estany de les Fonts, where we have two options: continue on the same trail where we came before or take the alternative turn to the left towards the Solana Lakes. We have to pay attention to boundary posts that show us the route, which is not as well marked as the route we followed before. 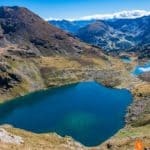 Nevertheless, we recommend this version, as this way we will get the chance to see more lakes and the way down will be more pleasant. 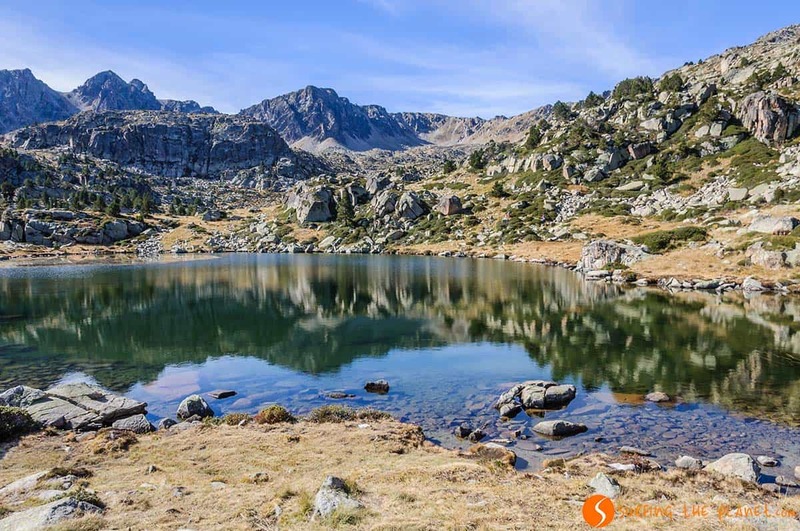 Therefore, if you are looking for what to do in Andorra and your plans include hiking, the circuit of Pessons is a really nice trail, the difficulty of which does not represent too much challenge to do it even with your family. 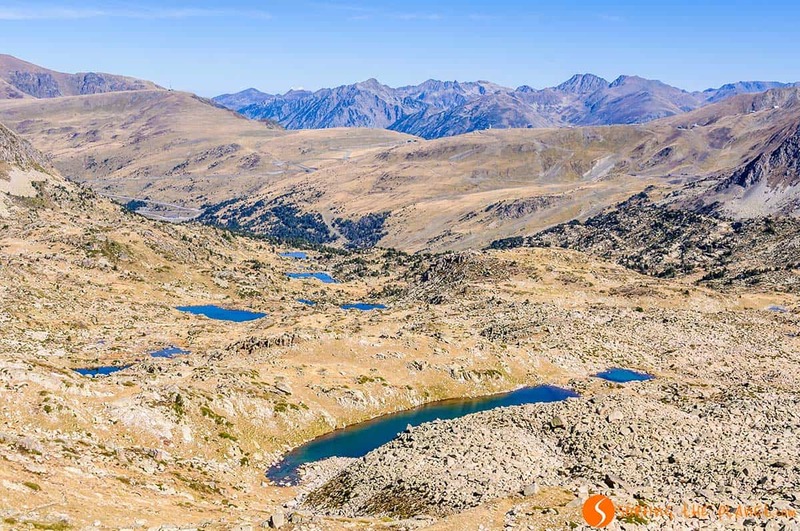 To arrive at the beggining of the trail, coming from Spain we have to follow the CG2 main road towards France, but before arriving at the Envalira Tunnel, which connects Andorra with France, we have to turn right towards Grau Roig, one of the most important ski resorts of the area. We continue till the El Cubil parking lot, where we can leave our car. 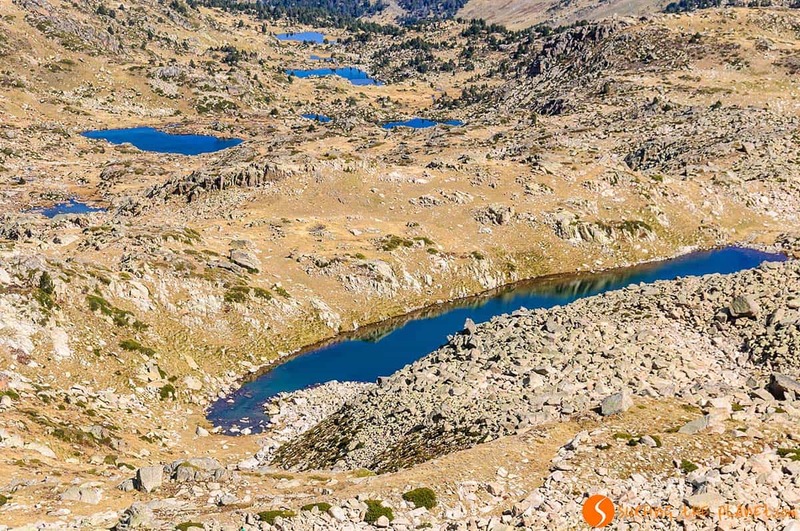 We are in a high mountain area, the route is situated above 2000 m, and the highest point is at 2810 m. This means that if we don’t want to find a lot of snow and very cold weather, it’s recommended to do this trail between the end of Spring and the middle of Autumn. 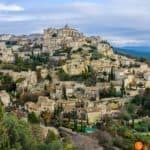 Do you want to learn more about this fascinating little country? 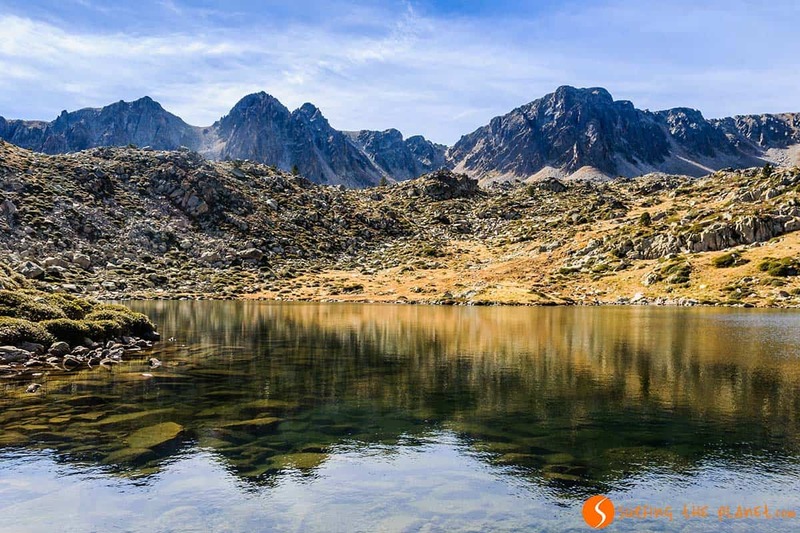 Read here some of the best reasons to visit Andorra. 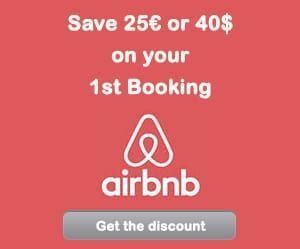 – ZZZ… BOOK YOUR HOTEL IN ANDORRA – find the best hotel for you. – FLYYY… Find the CHEAPEST FLIGHT TO BARCELONA. 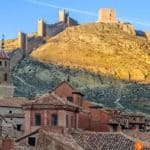 – BRUM BRUM… RENT A CHEAP CAR FOR YOUR TRIP TO ANDORRA – find the best car for you.